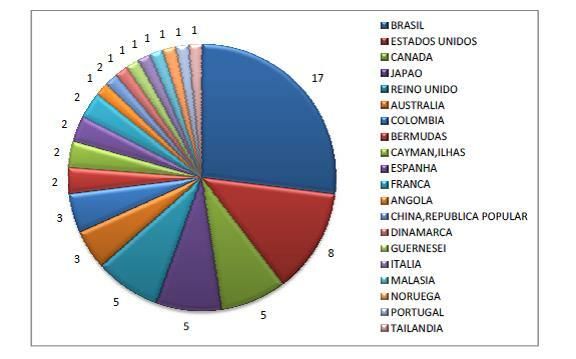 In May of this year, Brazil offered 289 non-pre-sal conventional oil and gas blocks to dozens of international bidders. This 11th Brazilian Oil & Gas Bidding Round – the first in five years – raised US $1.4 billion in signature bonuses, and could lead to investment of US$3.5 billion in the exploratory phase. 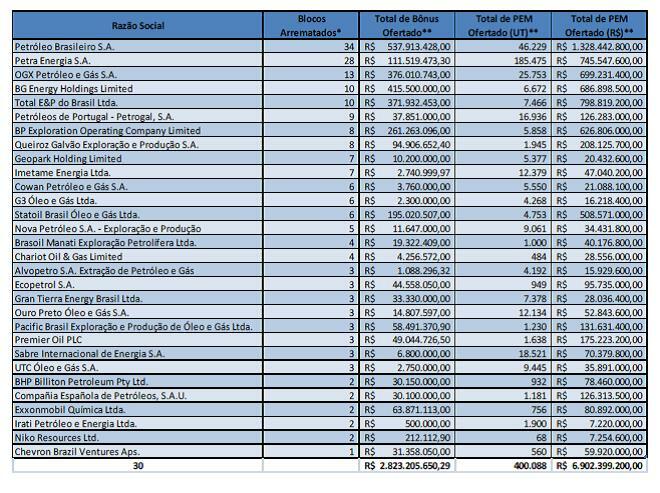 As Oil Finance Specialists Capital (OFSCap) indicated in its May 29 report on the 11th bidding round, Petrobras was the overall winner, but did not dominate the round. The report explains that in over half the blocks which the state-run Brazilian company won, it will not be the operator. Brazilian firm OGX (which formed partnerships with Exxon and Total) and BG, BP, GALP, Statoil, and Total were also successful in the bidding process. While the auction allayed fears that foreign oil firms would lose interest in Brazil during its five-year, “self-imposed dry spell,” there was a surprising lack of Asian firm participation in the 11th bidding round. OFSCap explains that although Asian firms indicated some interest in the process, they were either unsuccessful in their bids or failed to bid entirely. As indicated in this full list of bidders and winners, the only Asian firms that made offers were Mitsubishi Corporation do Brasil S.A., Malaysian firm Petronas, and the Repsol Sinopec partnership.CNOOC, Mitsubishi, Mitsui, Nippon Oil & Gas, PTT and Sumitomo registered for the 11th round, but did not participate in the bidding. OFSCap speculates that Asian firms might instead be waiting for the more important pre-sal auctions set to take place in October. Asian firms have indeed expressed considerable interest in these deeper, “beneath the salt” deposits, despite legislation mandating 30 percent Petrobras participation in all pre-sal blocks. There is interest in Brazil’s pre-sal among China’s national oil companies (NOCs), in particular. 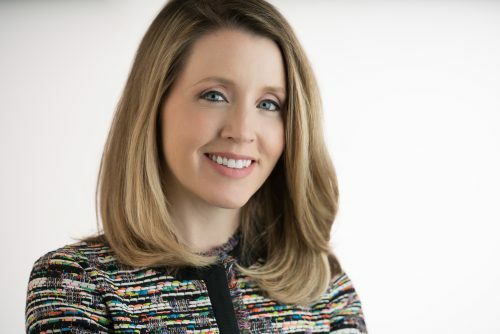 As Erica Downs points out in her 2011 report, “Inside China, Inc.,” China’s NOCs have expressed interest in playing a role in the development of pre-salt deposits primarily in an effort to learn more about deep-water drilling from Petrobras. China has also contributed capital for pre-sal development. In 2008, China Development Bank provided Petrobras with a line of credit to develop the substantial pre-sal deposits in exchange for more oil exports from Petrobras to China. 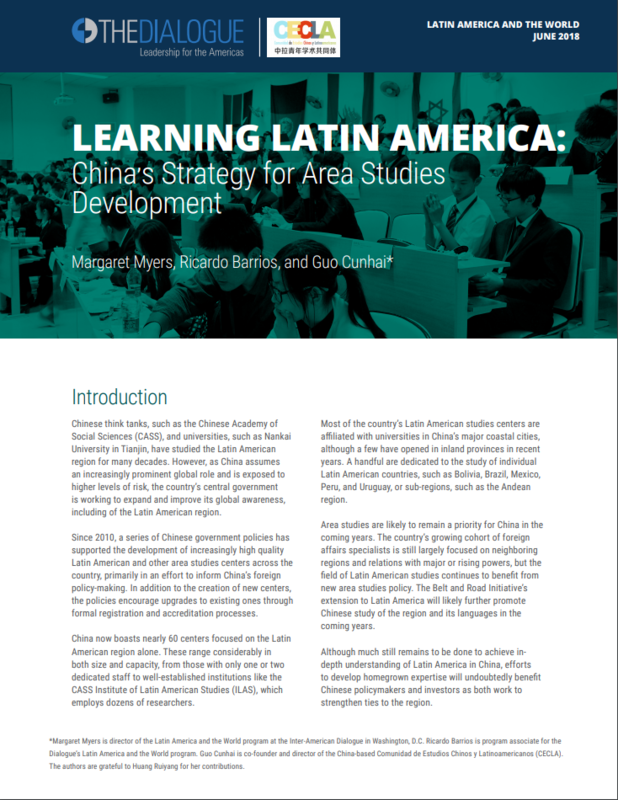 As mentioned by several participants in the Inter-American Dialogue’s recent China and Latin America Energy Meeting, the pre-sal in Brazil is “tailor made” for Chinese investment. Petrobras is already a world leader in deep-water drilling, but could benefit considerably from Chinese financing. Chinese firm Sinopec has already developed a foothold in Brazil through tie-ups with Repsol and Gulf and would be well-positioned to take advantage of pre-sal auctions.The Sinopec-Repsol partnership was unsuccessful in its 11th round bidding. But as OFSCap indicates, Chinese (and other Asian) firms may be biding their time until the pre-sal round in October. Brazil’s Ministry of Mines and Energy has indicated that a November concession bid round will involve onshore shale deposits. Initial exploration in South America suggests that sizable shale gas deposits lie beneath several countries including Argentina, Brazil, Colombia and others. Click HERE for an excellent issue brief on Brazil’s pre-sal by China and Latin America Energy Meeting participant Susana Moreira.